The 10 Best Mountain Biking Trails in Nebraska! Prepare to get a little muddy! Across Nebraska, you’ll find a variety of mountain biking spots in the form of loop trails, state parks, and stunning summits. The following offer scenic routes through nature. Experience the diverse wildlife across the state with these 10 awesome mountain biking trails in the state. Lover’s Leap is the steepest summit in all of the state of Nebraska. Follow the small diamond-shaped trail markers that will lead you to the incredible view of the Lover’s Leap landscape. The area provides unmatched views of the state. Toadstool Geologic Park is famous for its crazy rock formations and you can follow the fun three-mile Bison Trail towards the Hudson-Meng Bonebed archaeological site. The signature toadstool rock formations will blow your mind as you enjoy the lovely trail ride. Head to the Boots and Saddle Trail for seven miles of looping trails through the region which was originally established as a timber reservation utilized by the U.S. Cavalry. Along the way, the windy trail will lead you along streams and offers plenty of opportunity to see wildlife. Start your journey at either the Middle or South Fork Trailheads and get on the Trooper Trail Loop for a great ride through grassy uplands inhabited by tons of wildlife such as turkey, deer, hawks, and bald eagles. Head to the Branched Oak State Recreation Area for over six miles of mountain biking trails as well as hiking and horseback trails. The area is best during the spring and fall when the foliage is vibrant and colorful. One of the biggest and best places to start your mountain biking trip is at Chadron State Park which features of 33.5 miles of trails. You will find trails for all variety of skills levels as well as camping and hiking facilities. Indian Cave State Park gets its name because of the giant sandstone cave located within the park. 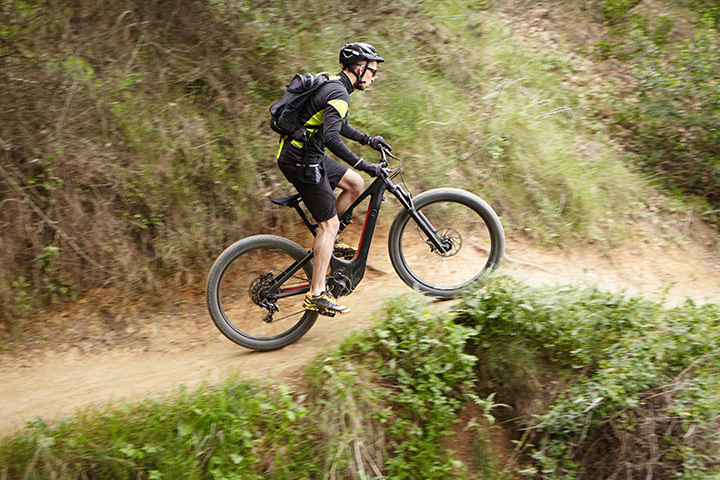 Within these hills, you can explore over 22 miles of mountain biking trails. The park features many species of wildlife and plants with spectacular shows of colors during autumn. The Larry D. Roper Trial located within the Johnson Lake Recreation Area is an over a mile-long of paved trail that is 8 feet wide and features four rest areas along the way and stretches from the outlet parking lot to the swimming beach parking lot. Along the way you can observe many species of bird and plant life. The Platte River State Park is located conveniently between Lincoln and Omaha. Situated within the heavy woods, you will find over 17 miles of beautiful trails offering a wide range of scenery. The variety of difficulty levels and changing scenery makes this a top spot among cyclists.